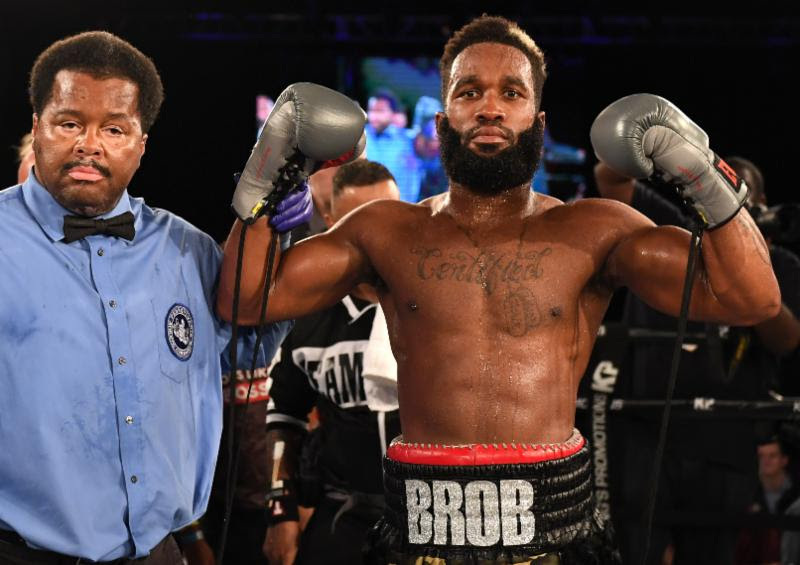 Rising super middleweight Brandon Robinson will take on undefeated Kalvin Henderson on Friday, December 7th at The 2300 Arena in Philadelphia. “We have three great shows on November 9th (at SugarHouse Casino), November 16th (at Sands Bethlehem Event Center) and this great card to end the year. Once again King’s Promotions is the most active promoter in the country, and we look forward to giving the fans another tremendous show,” said Marshall Kauffman of King’s Promotions. Robinson has a record of 11-1 with eight knockouts. The 30 year-old Robinson, is a two-year professional, who has won 11 consecutive bouts. He has established himself as one of the top-super middleweight prospects in the country with wins over Brandon Clark (2-0) and in his last bout when he took out Ernest Amuzu (24-3) in three rounds on September 14th at The 2300 Arena. This will be Robinson’s 7th appearance at The 2300 Arena. Henderson of Little Rock, Arkansas has a record of 10-0 with six knockouts. The 28 year-old is a three-year professional who has wins over two undefeated fighters in Cameron Burroughs (2-0) and Bobby Taylor (4-0). Henderson is coming off a 5th round stoppage over Billy Cunningham on September 15th in Little Rock. In the eight-round co-feature, undefeated super bantamweight Raeese Aleem will take on an opponent to be named. Aleem, 28 years-old from Las Vegas has a record of 12-0 with six-knockouts. Aleem has wins over DeVonte Allen (4-0-1) & Marcus Bates (8-0-1). in his last bout, Aleem broke down and stopped Alcides Santiago in five rounds on September 25th in Bethlehem, PA. In a six-round contest, Isaiah Wise (6-2-1, 3 KOs) of Philadelphia takes on an opponent to be named in a super welterweight fight. James Brenadin of Lancaster, PA (1-0, 1 KO) of Philadelphia takes on Sheldon Dverteuil (1-0-1) of Philadelphia in a lightweight bout. Paul Koon (3-0, 1 KO) of Philadelphia will take on an opponent to be names in a heavyweight contest. Rasheen Brown (1-0) of Philadelphia takes on an opponent to be named in a super bantamweight fight. Romuel Cruz (2-0-1) of Philadelphia takes on an opponent to be named in a super bantamweight fight.